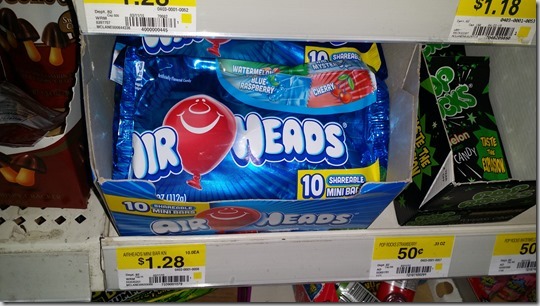 Here’s a great deal on Air Heads! Here are this week’s Reverse Coupon Matchups, where we match every coupon from this week’s inserts to Walmart’s prices! There were 2 insert this week, an SS and an RP. 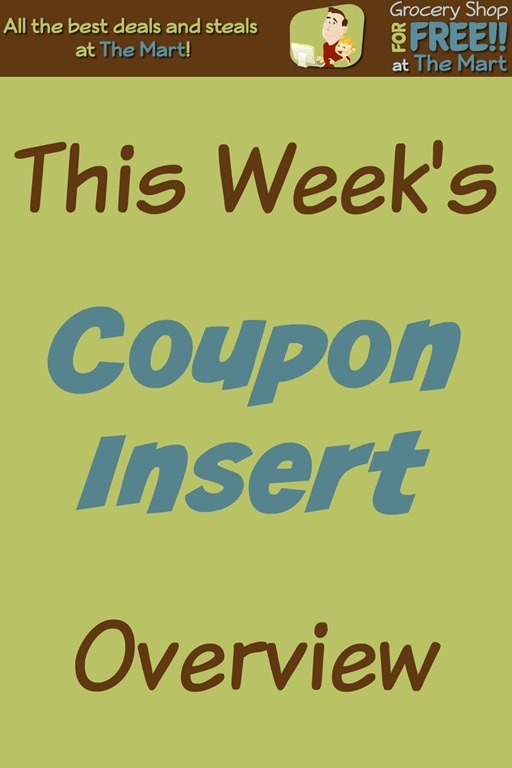 Remember that most of these coupons can be purchased from Klip2Save if you couldn’t buy a paper for some reason. 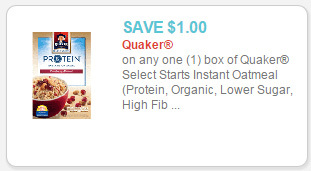 As always, the $1.00 and Under items are on top with the full lists after the jump. Enjoy! 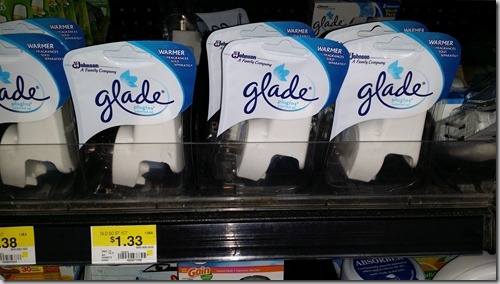 FREE Glade Warmers with Overage at Walmart! Here’s a FREE Glade Warmer with some very nice overage! 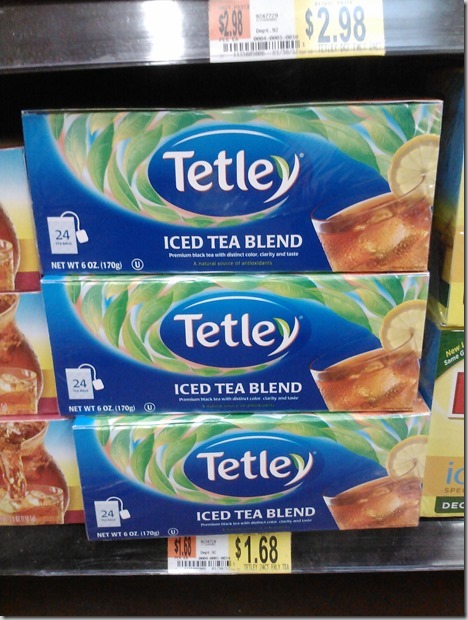 FREE Tetley Tea with Overage at Walmart! Score some FREE Tetley tea! Final: FREE with $.07 overage! 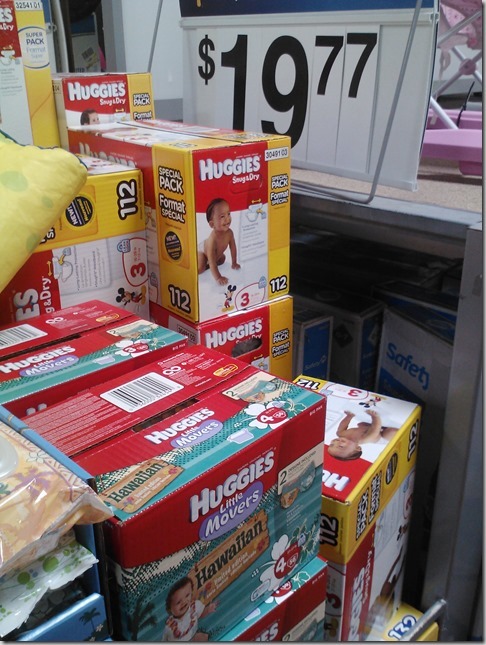 New High Dollar Printable Coupons for Huggies Diapers and Walmart Matchups! Wow! 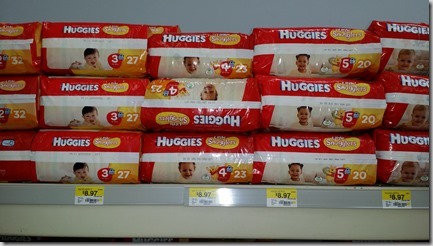 Check out these SUPER high value Huggies coupons: NOTE: You will need to share these coupons to get the full value. Here are a few matchups! 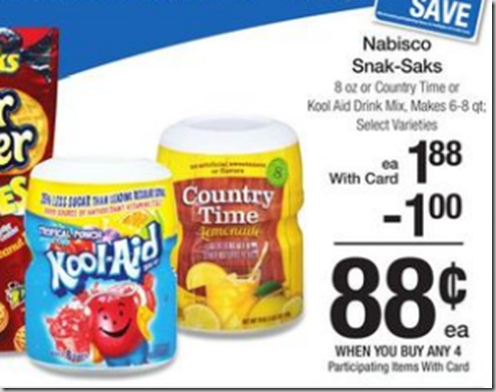 Walmart Price Match Deal: Kool-Aid or Country Time Canisters Just $.38! Starting this weekend, you can stock up on Country Time or Kool-Aid canisters! 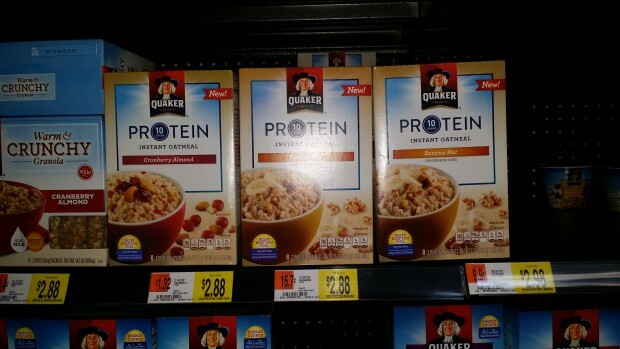 Quaker Protein Oatmeal Only $.50 at Walmart! We have two new coupon for Quaker Protein Oatmeal! UPDATE: We just found a price match that makes it even better at Safeway! 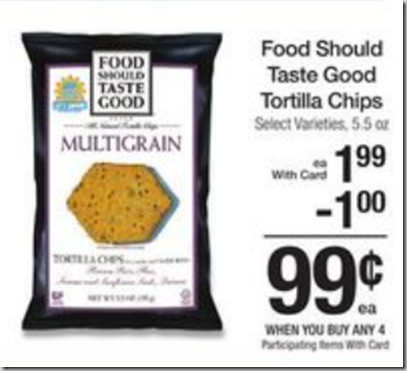 Walmart Price Match Deal:FREE Food Should Taste Good Tortilla Chips with Overage! 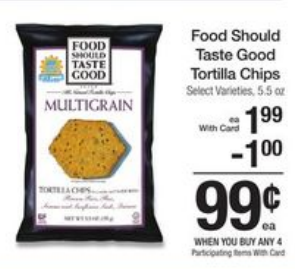 If your Walmart carries Food Should Tast Good Tortilla chips and you are around a Kroger, you’ve got a change to score FREE Food Should Taste Good Tortilla Chips! 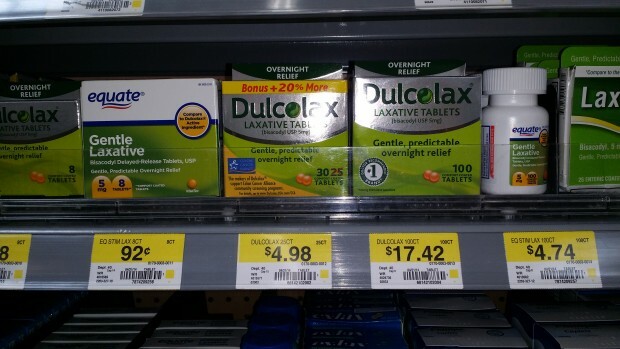 Dulcolax Only $12.42 at Walmart! 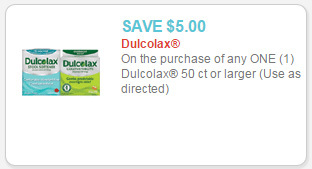 We have a new coupon for Dulcolax! RECALL NOTICE: Blue Bell Recalls ALL Products Made in their OK Plant! Remember when I told you about the limited recall on select Blue Bell products made at their Broken Arrow, OK plant? Well now they are recalling ALL products made at their OK plant. BRENHAM, Texas, April 7, 2015 /PRNewswire/ — Blue Bell Creameries is expanding its recall of products that were produced in theBroken Arrow, Okla., plant to include Banana Pudding Ice Cream pints which tested positive for Listeria monocytogenes, and additional products manufactured on the same line. These items have the potential to be contaminated with Listeria monocytogenes, an organism which can cause serious and sometimes fatal infections in young children, frail or elderly people, and others with weakened immune systems. Although healthy individuals may suffer only short-term symptoms such as high fever, severe headache, stiffness, nausea, abdominal pain and diarrhea, Listeria monocytogenes infection can cause miscarriages and stillbirths among pregnant women. The products being recalled are distributed to retail outlets, including food service accounts, convenience stores and supermarkets inAlabama, Arizona, Arkansas, Colorado, Florida, Georgia, Illinois, Indiana Kansas, Kentucky, Louisiana, Mississippi, Missouri, Nevada,New Mexico, North Carolina, Ohio Oklahoma, South Carolina, Tennessee, Texas, Virginia, and Wyoming. On April 3, 2015, Blue Bell Creameries voluntarily suspended operations at its Broken Arrow, Okla., plant to thoroughly inspect the facility due to a 3oz. institutional/food service chocolate cup that tested positive for Listeria monocytogenes and was immediately withdrawn from all outlets. That product was only available to Blue Bell’s food service and institutional accounts and was recalled along with 3oz. vanilla and strawberry institutional/food service cups. 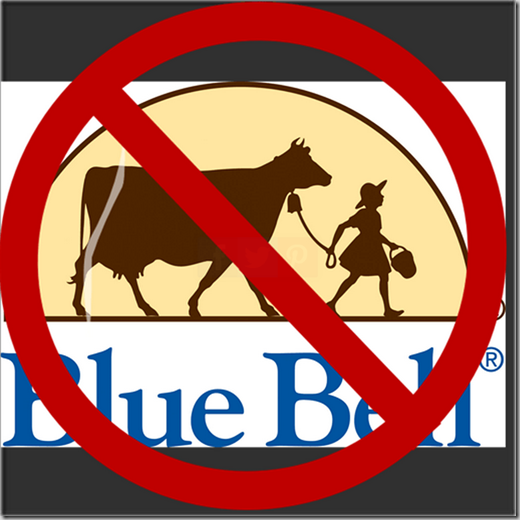 On April 4, 2015, out of an abundance of caution, Blue Bell began working with retail outlets to remove all products produced inBroken Arrow, Okla., from their service area. 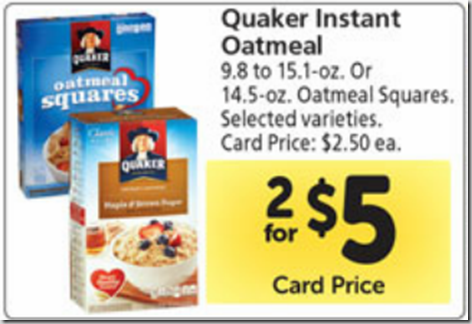 These products are identified with a code date ending in O, P, Q, R, S or T located on the bottom of the carton and they are a part of the voluntary market withdrawal. On April 7, 2015, the U.S. Food and Drug Administration notified Blue Bell that the Banana Pudding Ice Cream pint tested positive forListeria monocytogenes. This pint was produced in the Broken Arrow, Okla., plant on February 12, 2015. Subsequently Blue Bell is recalling all products made on that one particular production line, from February 12, 2015 – March 27, 2015. These products were produced on that same line and have a code date ending in either S or T.
Recalled products produced in Oklahoma are identified by the code date on the bottom of the carton. Consumers who have purchased these items are urged to return them to the place of purchase for a full refund. For more information consumers with questions may call 979-836-7977, Monday – Friday 8 a.m. – 5 p.m. CST or go to bluebell.com. 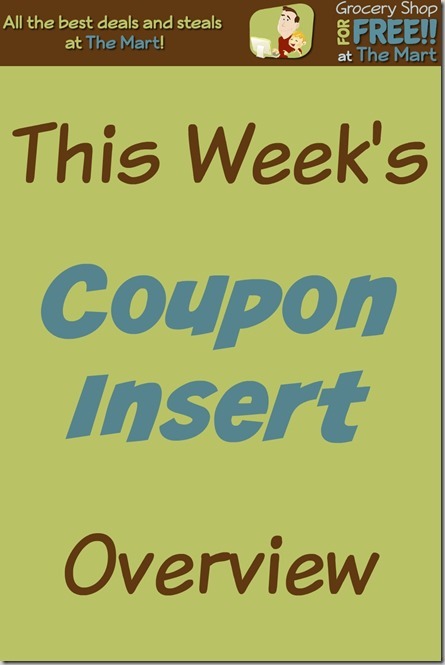 Here is this week’s Coupon Insert Overview! 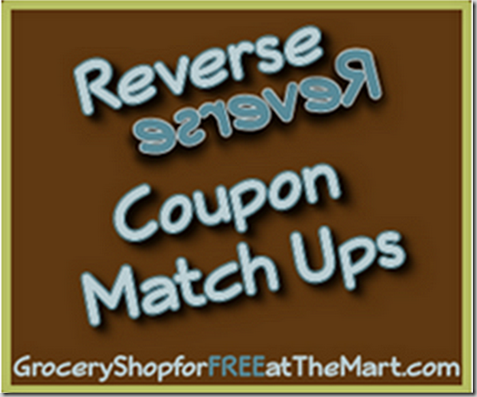 You can see all this week’s coupons in my Reverse Coupon Matchups. Please subscribe to my YouTube channel and give this video a thumbs up! 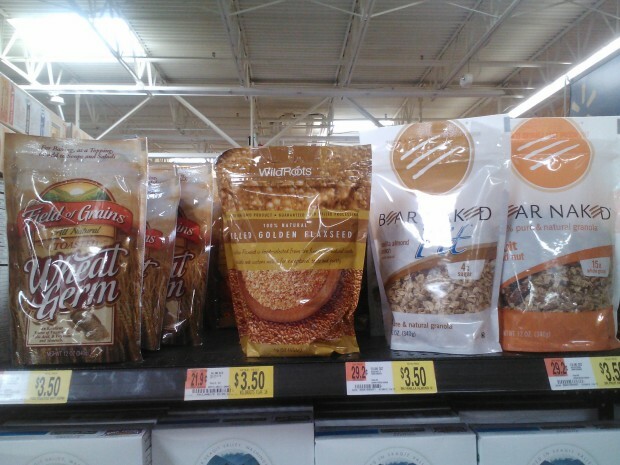 Bear Naked Granola Only $2.25 at Walmart! 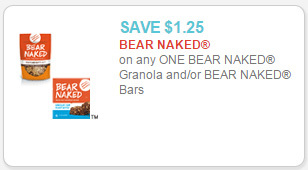 We have a new coupon for Bear Naked Granola! 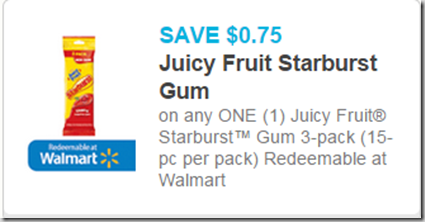 Juicy Fruit Starburst Gum 3pks Just $1.49 at Walmart! 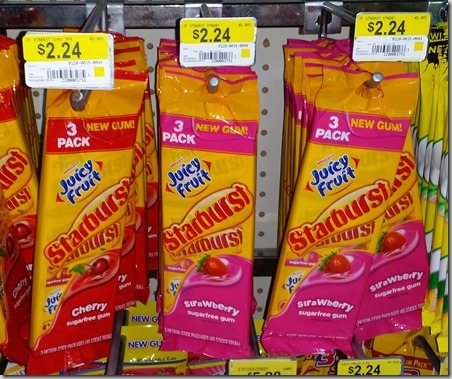 Grab some Juicy Fruit Starburst gum! 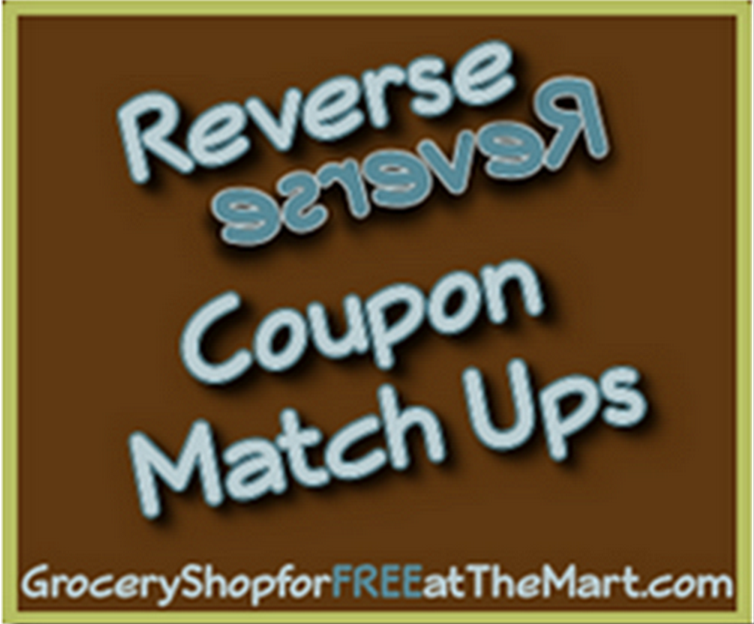 Here are this week’s Reverse Coupon Matchups, where we match every coupon from this week’s inserts to Walmart’s prices! There was only 1 insert this week, an SS. Remember that most of these coupons can be purchased from Klip2Save if you couldn’t buy a paper for some reason. As always, the $1.00 and Under items are on top with the full lists after the jump. Enjoy! 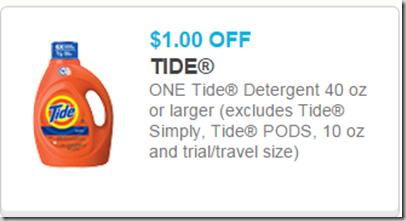 **HOT** Half Price Tide Detergent 150oz at Walmart! This is an incredible deal on Tide courtesy of one of the readers on our FaceBook room. 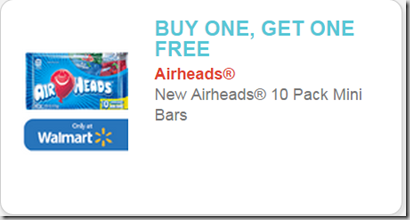 Earn $5 with Walmart’s New Invite & Earn Program! Did you know you can invite your friends to shop at Walmart.com and make $5 doing it with the new Walmart Invite & Earn program? It’s a very easy program to join, just click here and either log in to your Walmart.com account or create a new one. You will then be assigned an affiliate link you can share with your friends on your social media channels. Once your friend spends at least $50 at Walmart through your link, you both get $5! The best part is that there is no purchase required by you so share away and see if you can earn anything!. Once your friends buy enough to trigger the $5, you will both receive emails with a Walmart eGiftcard for $5 and you can earn up to 20 of those.